This unit is in the heart of Downtown Duval St. 2 bedroom 2 1/2 bath condo, located in the heart of Old Town. the 2 bedrooms and 2 bathrooms are upstairs. 1/2 bathroom off living. There is a balcony off master bedroom. A private patio of living. Kitchen renovated in Walking distance to many of the main attractions and just blocks from the beach. Central a/c, washer/dryer, dishwasher. Located in the popular Duval Square complex which includes restaurants, hair salon, bank and convenient store just to name a few. You are in the heart of it all, but yet set back on the second floor, of the complex away from all the noise. Sit back, relax and enjoy the beautiful shared pool. 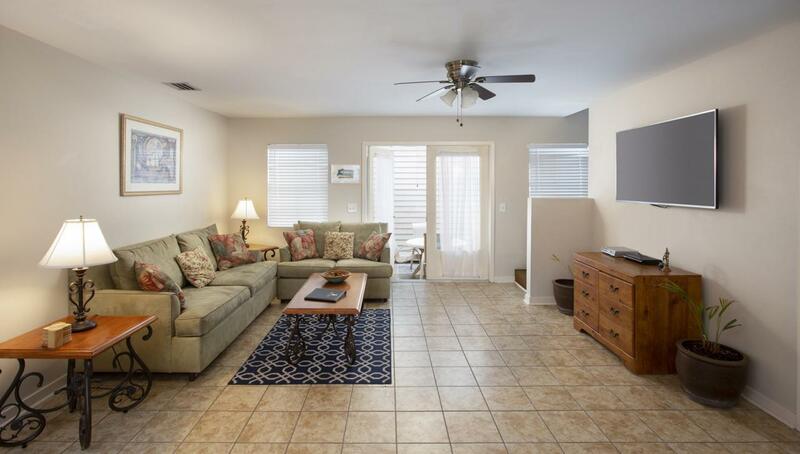 Listing courtesy of Jaime M Caballero of Key West Vacation Properties & Realty, Llc (Kw).